One thing that is extremely common in a lot of commercial buildings these days is emergency lighting. This lighting essentially acts as a back up when the buildings power supply has an outage. This means that people can safely exit the building, sure of where they are going and ensuring they miss any potential dangers. Emergency lighting is something that all employers should fit to their buildings. The risks involved with staff tripping, falling and hurting themselves are extremely high. The reality is that staff are within their rights to sue if they fall during an outage. This is something that can be devastating for a business and something that can be easily avoided simply by fitting emergency lighting. 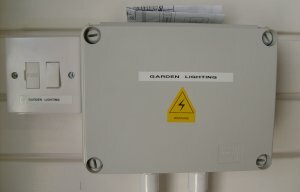 Generally, emergency light fittings will only work for a certain amount of time. They tend to run on batteries and last around 1.5 hours, which is usually plenty of time to exit the building safely. There are plenty of different types of emergency lighting, mainly due to the fact that each building size and layout is completely different to the last.